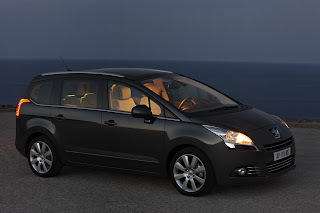 Peugeot has unveiled its new 5008 people carrier, which it says draws influence from the classic 7 seat 505 estate. The 4.53m model has seating for seven with a configuration of 2+3+2. 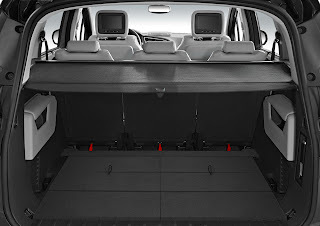 The seats in the second row can be reclined individually, and the back row folds flat to give 2506 litres of luggage capacity. 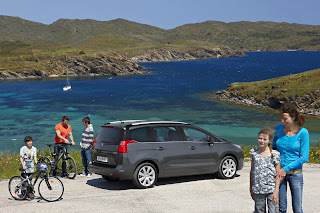 In 5 seater mode, 823 litres of luggage space is available. The front passenger seat also folds into a ‘shelf configuration’ to allow long objects to be loaded as far as the dashboard. 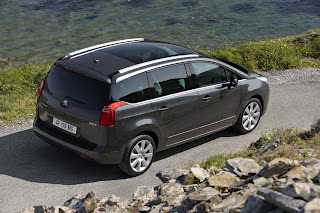 Underpinning the Peugeot 308 & 3008, Citroen C4 & Grand C4 Picasso, the 5008 will be available with 6 different engines with various power outputs. The line-up includes two different 1.6 litre VTi petrol engines producing 120bhp and 156bhp. This emits 169g/km of CO2 and has combined fuel economy of 38.6mpg and 167g/km delivering 39.7mpg combined. 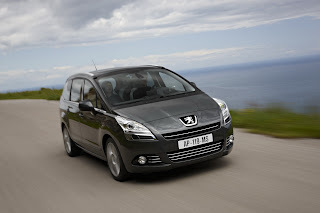 Diesel engines range from two 110bhp 1.6 HDi FAP. One emits 143g/km and returns 52.3mpg and the other emits 135g/km and returns 54.3mpg. Two 2.0 HDi FAP are available. One in 150bhp returning 48.7mpg and emitting 151g/km and the other is a 163bhp engine that returns 41.5mpg and emits 178g/km. The 150bhp 2.0 HDi has a 6 speed automatic gearbox standard with the latter receiving a 6 speed manual. Think of it as a LWB 3008. Features include a head-up display that shows speed and distance alerts, ‘Snow Motion’, a traction control system designed to make it easier to drive on snow and ice and rear DVD entertainment system. 6 airbags, ESP with ASR, tyre pressure monitoring system, automatic electric parking brake with hill assist, auto-dimming rear-view mirror and panoramic glass sunroof will be standard. 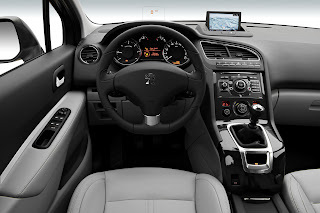 Options include satellite navigation system with heads up display. metallic paint, leather interior trim. alloy wheels and more. 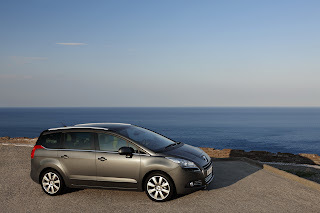 The 5008 will be launched at September’s Frankfurt motorshow and will go on sale in the UK in Spring 2010. Prices are likely to start at around £15,000.